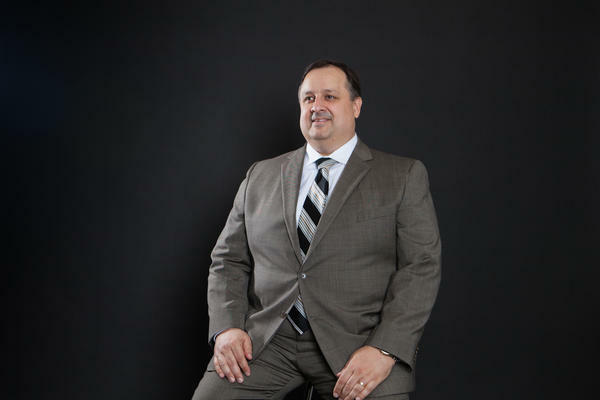 Walter Shaub, director of the United States Office of Government Ethics. Committee Chairman Jason Chaffetz, a Utah Republican, has "authority to investigate these things and compel responses, so hopefully we'll see some action from him," Shaub said. "OGE, however, has no investigative authority, so we're limited as to what we can do if these waivers are not being released publicly," he said. Chaffetz' office said he had no comment. The New York Times, in collaboration with ProPublica, published a story on Saturday saying Trump has been filling the White House and federal agencies with former lobbyists, lawyers and consultants, and has been generously waiving ethics requirements without even posting the waiver information on the Government Ethics website. But while Chaffetz has generally been quiet on Trump-related ethics issues, the public has been hammering OGE with questions and complaints. How big is the jump in public contacts, such as calls, letters and emails? During the six months between October 2008 and March 2009, as the Obama presidency was taking shape, the OGE got 733 contacts. During the October 2016 to March 2017 period, it got 39,105 contacts from citizens — an increase of 5,235 percent. Comparing those same two time periods, the number of Freedom of Information Act requests — typically from journalists and public-interest groups — shot up to 280 from 39. That's an increase of 618 percent. Shaub said that, for example, when a top Trump adviser recommended certain fashion lines on Fox & Friends, the public outcry and media interest rocketed up. "When Kellyanne Conway had endorsed Ivanka Trump's product line, our phones rang off the hook, and they practically melted the system," he said. "This is a level of attention that we haven't seen before in terms of public interest." Shaub said Trump is correct when he says, as he did back in January, that presidents technically are not covered by law from having conflicts of interest. "I have a no-conflict situation because I'm president," Trump said at the press conference. He added, "I didn't know about that until about three months ago, but it's a nice thing to have." There are ethics rules that do apply to members of his administration, though. Those are the ones keeping Shaub's small staff busy, according to the director. "When you get 39,000 calls coming into a 71-person agency, the best they can do is log the calls," he said. The statistical analysis, comparing the Obama and Trump eras, have not previously been released. Shaub says his office is "understaffed right now," compared with the massively increased workload involving FOIA requests and the congressional requests, coming mostly from Democrats. "I've never seen anything like this," he said. Still, the office is keeping up with the advisory work — trying to guide Trump appointees on ethics laws and suggesting solutions to conflicts of interest they may face. Other routine business, such as doing staff training or writing new guidelines, has been put on hold as the staff focuses on moving along Trump staffers, he said. The chief of the Office of Government Ethics says his small staff has been inundated with questions and complaints about the Trump administration, but there's only so much his office can do. It coaches officials on how to obey ethics laws, but it can't launch investigations or penalize rule breakers. So director Walter Shaub, Jr., is calling on Congress to be more vigilant. NPR's Peter Overby reports. PETER OVERBY, BYLINE: Walter Shaub says unprecedented numbers of Americans are turning to the Office of Government Ethics with questions about the Trump administration, but ethics oversight is up to Republican Congressman Jason Chaffetz of Utah. WALTER SHAUB JR.: Chairman Chaffetz runs the House Oversight and Government Reform Committee. He's got authority to investigate these things and compel responses, so hopefully we'll see some action from him. OVERBY: Shaub said Chaffetz could investigate the White House use of secret waivers - that is, undisclosed decisions to exempt new appointees from the Trump administration's ethics pledge. The waivers were first reported Saturday in The New York Times. OGE lacks the investigative power to get the waivers from the White House. So far, House Oversight has shown little interest in questioning the administration's ethics policies. Here's another example. Back in February, White House counselor Kellyanne Conway urged the public to buy merchandise marketed by Trump's daughter Ivanka. It seemed to violate the rule against using your position in government to endorse a product. SHAUB JR.: When Kellyanne Conway had endorsed Ivanka Trump's product line, our phones rang off the hook, and they practically melted the system. OVERBY: It wasn't the first time that Trump ethics questions overwhelmed the little agency's phone system. In the six months from last October to this March, OGE data show more than 39,000 public contacts with the agency - phone calls, emails and letters. SHAUB JR.: That 39,000 number only counts the number of calls and emails that got through, but we've had a number of times where it just jammed the system, and a lot of calls weren't getting through. SHAUB JR.: This is a level of attention that we haven't seen before in terms of public interest. OVERBY: For perspective, OGE has stats on when the Obama administration came to D.C. in 2009. The number of public contacts then - about 700. And again, the number now - more than 39,000, all aimed at an agency with 71 employees and 11 percent of its jobs unfilled for lack of funds. Of course, the trigger for all this public attention is President Trump's approach to ethics. Here he is at a press conference a few days before he took office. He pointed out the conflict of interest law doesn't apply to presidents. DONALD TRUMP: I have a no-conflict situation because I'm president, which is - I didn't know about that until about three months ago, but it's a nice thing to have. OVERBY: Still, Shaub tried to coax Trump into selling off his assets, divesting them. He even used a Twitter campaign which may account, at least in part, for another eye-popping data point. OGE has more than 42,000 followers on Twitter. It has other followers, too, on Capitol Hill. A year ago, between October 2015 and March 2016, OGE received just 20 requests from lawmakers. This year, it's gotten more than five times as many. Peter Overby, NPR News, Washington. Transcript provided by NPR, Copyright NPR.